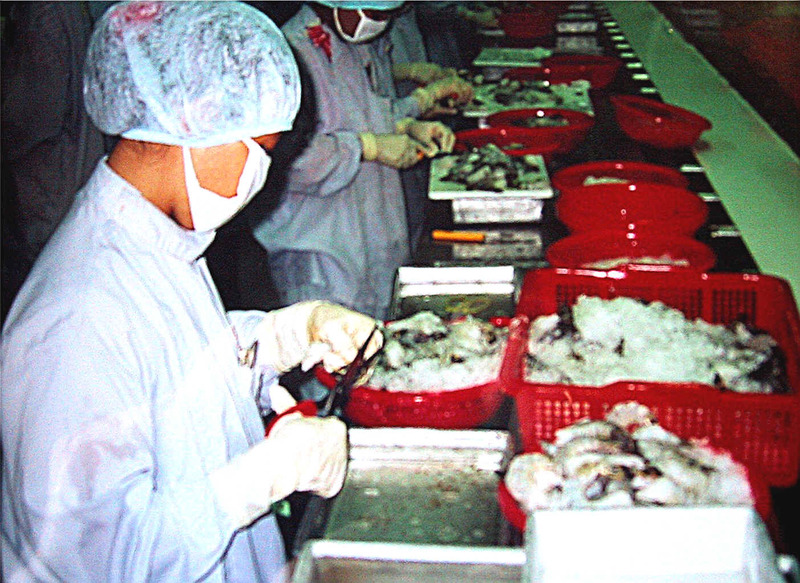 Design, running-in and long time testing of the Multipurpose Seafood Processing Line. For calculation of your economic benefit from installation of the MSP lines at your own facilities, please fill the form by clicking here. 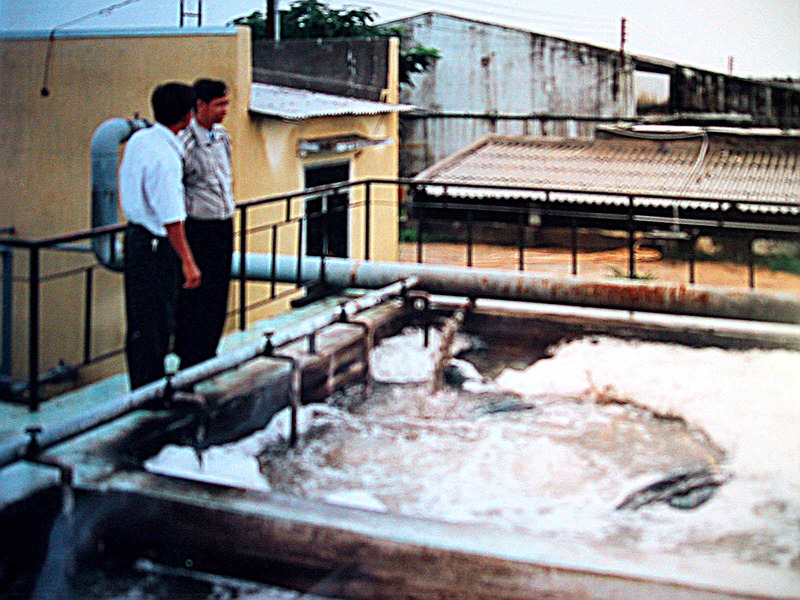 Examples of Environmental Actions Plans prepared by pilot enterprises. A redesigned full scale workstation based on the experience gained from the comparative studies as well as from the testing carried out during phase one. Finally conducting of two dissemination workshops where results from the cleaner production activities, the findings and recommendations from the comparative studies as well as results from the other international consultancies, will be presented and discussed. The work was initiated in the beginning of 2002 with identification of possible manufacturers of the new MSP lines in order to involve them in the design of the lines. In the meantime were 8 pilot work stations manufactured for testing at SEASPIMEX in Ho Chi Minh City. The test were carried through in May 2002. 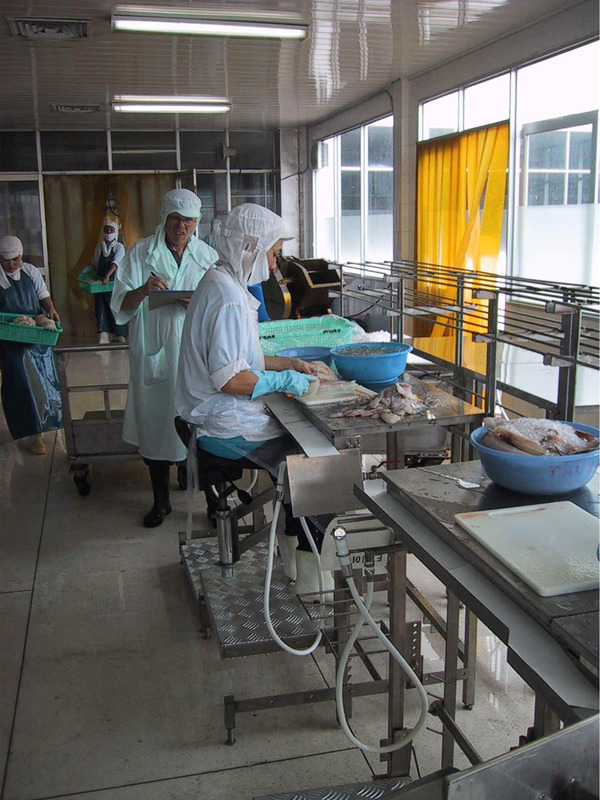 Here is shown some pictures from the testing of the prototype for final design of the unique Multipurpose Seafood Processing Line - to improve on productivity, yield and workers safety & health. 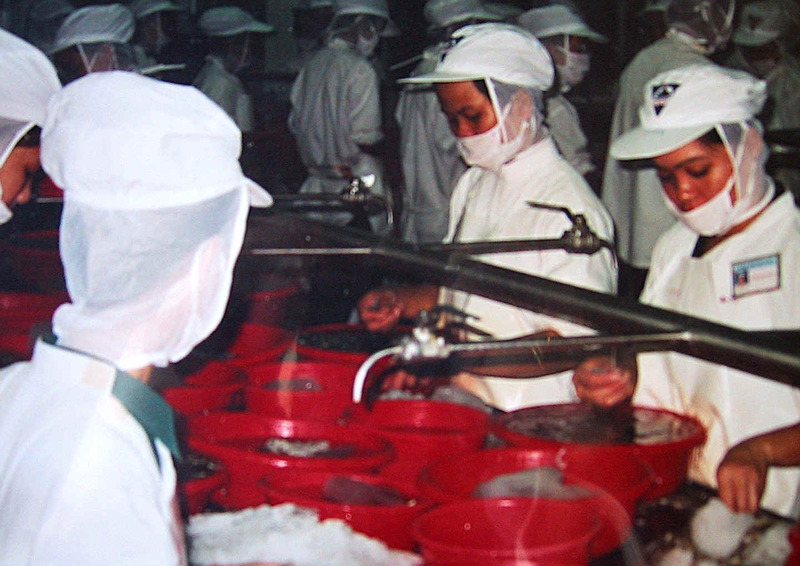 The introduction of the Multipurpose Seafood Processing Line will also reduce the water consumption for processing and cleaning significantly. 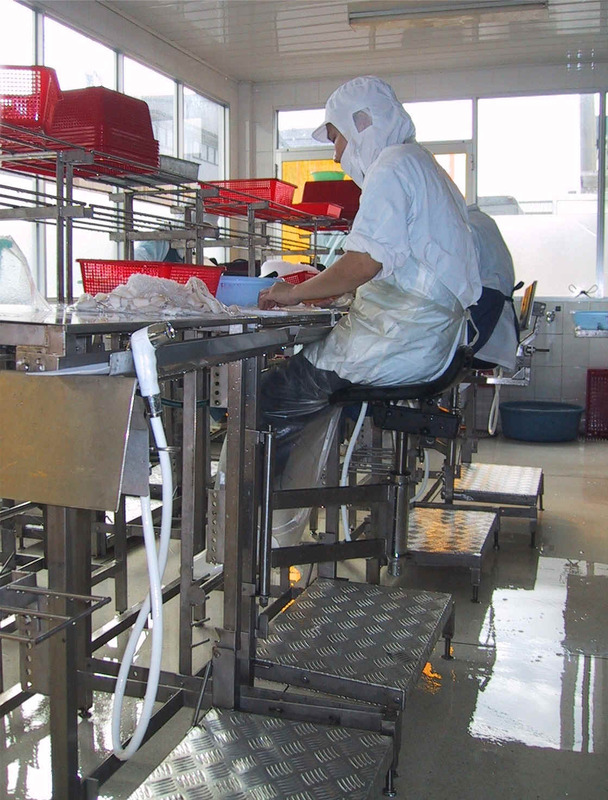 The measured reduction during testing of the new line compared with the traditional worktables was 75%. 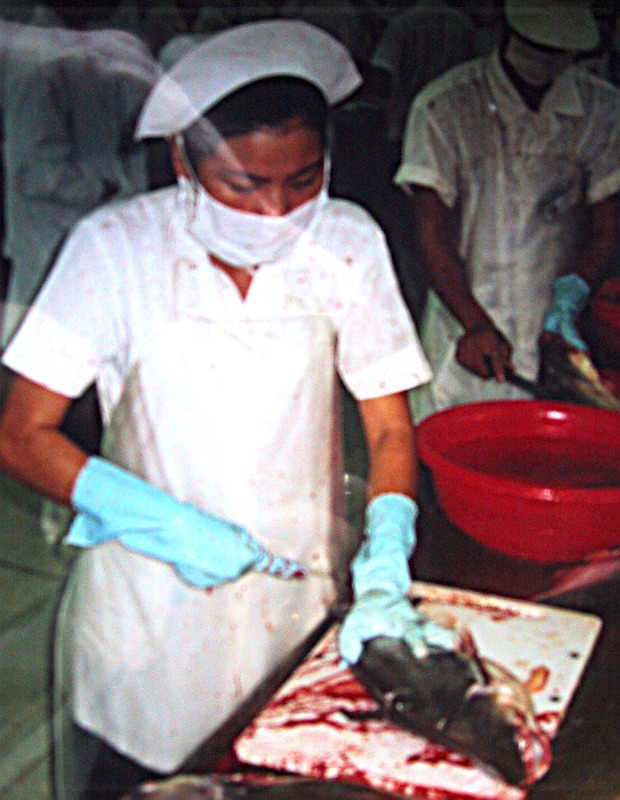 The final design of the Multipurpose Seafood Processing Line is shown for 8 workplaces, below. A total of 4 lines with 32 workplaces on each were manufactured at HAYEN IND. in Hanoi in 2002 and 2003. 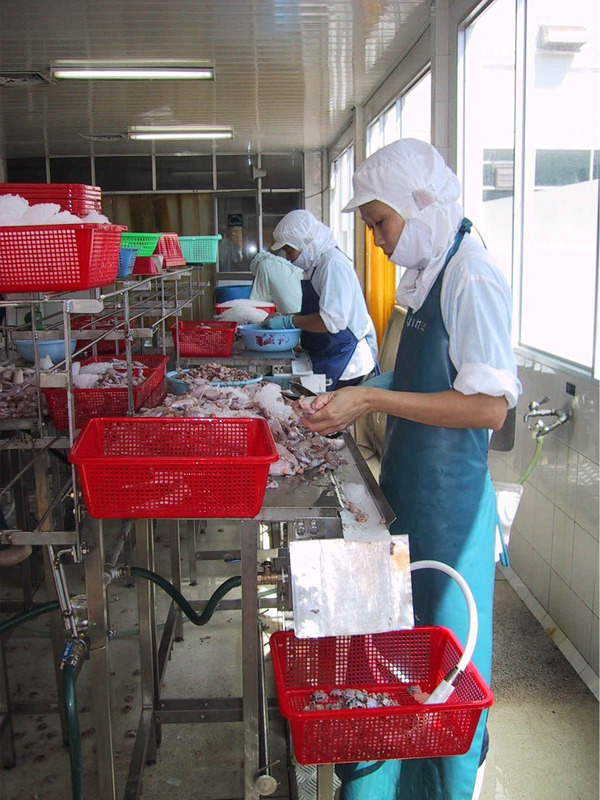 The 4 MSP lines were delivered and installed at CASEAFOOD in May-June 2003.